Jess grew up in Maryborough and graduated from Griffith University in 2015. She joined the Aura team in early 2016. 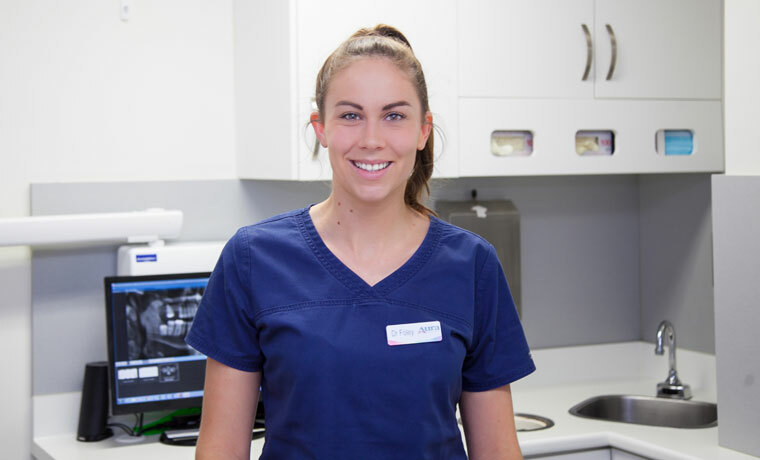 A genuinely caring person who instils calmness and confidence in the patients she treats and her determination to deliver the best quality dentistry that she can has built her a loyal following of patients. She is able to put patients of all ages at ease with her friendly respectful manner and her attention to detail is exceptional. She is focused on getting the treatment right and takes whatever time is required for each person. Outside of work Jess enjoys cooking, travelling and watching rugby league, especially her team the Brisbane Broncos and recently got engaged to her boyfriend.